Nonjatta: Yamazaki 12 - "Intimately Beckham"
Yamazaki 12 - "Intimately Beckham"
Not really my scene. The nose was tinned mandarins and varnish. I liked the taste at first. It seemed quite balanced and floral. The varnish was still there, strong alcohol and somewhere at the bottom of it almond and a tiny bit of orange. Then I found myself drinking a 12-year-old David Beckham Intimately for Her Eau de Toilette spray! Started to get estranged from it after a few sips. It didn't seem to have much of a finish beyond the nagging suspicion that my wife had switched the bottles out of frustration at my spending too much time on this site. Other Reviews Luca Chichizola, Malt Maniacs 101, February 2007. On c. 2006 bottling. 81/100 (recommendable). Luca found nuts, vanilla, oak and wood varnish on the nose. In the mouth it had a "dry and nutty attack, like a bourbon. Then lots of sweetness and vanilla oakiness... a bit sherried, some almonds, cedar and acetone. Very appetizing. A bit thin and metallic, even slightly acidic. 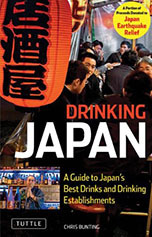 It should appeal to Jack Daniels fans." The finish was "nutty, with dried grapes and an almost perfumy echo... Dry." Overall, he thought it was interesting but a little "cloying and unbalanced" with "excessive cedary and acetone notes." Serge Valentin, Whisky Fun, December 18, 2006. On 2006 bottling. 79/100 (better than average). In the mouth: "rather perfumy, rose jelly, apple compote, white pepper, pear spirit." Average rating from 13 Malt Maniacs' reviewers on 2006 bottling: 81/100 (recommendable). Michael Jackson, Whisky Magazine, Issue 26, 16/10/2002: 8/10. 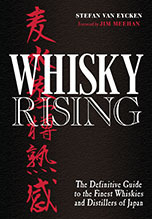 "A pioneering malt in Japan, for which Suntory deserve great credit. In its early days, it was rounded and delicate, as though wary of offending anyone. Now it is more intense, confident and elegant." Dave Broom, Whisky Magazine, Issue 26, 16/10/2002: 7.5/10. "Impressive nose and excellent body is undone slightly by the untidy finish." This Japanese language blog entry recounts a tasting of some Yamazakis with various foods: duck with a mustard and miso sauce, haggis and mashed potato, herring and marinaded salmon with roe. The taster found Yamazaki 12's gentle taste went well with the duck. This, and the Yamazaki 10 are available from Waitrose in the UK*. £28 for the 10yo and £38 for the 12. Probably not worth the extra tenner. I can't believe how negative some of these comments are re. this wonderful whisky. The Yamazaki-12 absolutely lights up your mouth and does so with an evenness that very few single malts can even aspire to. 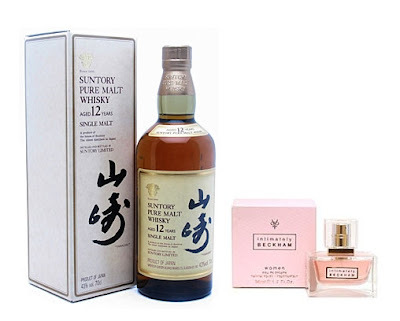 Over-anaylising whiskys can get you hung up on subtetly, and inasmuch as this whisky is unashamedly good it maybe falls short on that angle, but for anyone reading this site looking for a great Japanese 12-year old single malt, look no further.